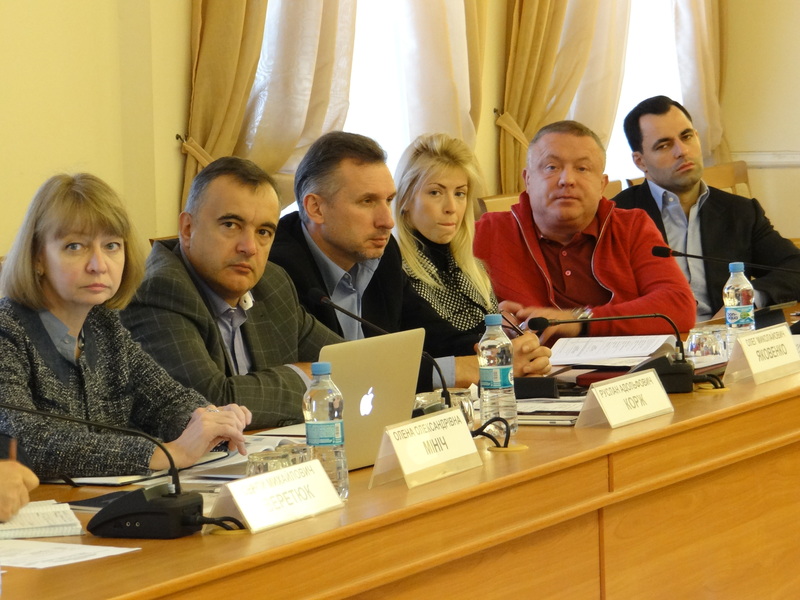 On Saturday, October, 31st scientific and practical seminar “Integration of innovative model of highly technological economy of Ukraine” took place in NTUU “KPI”. 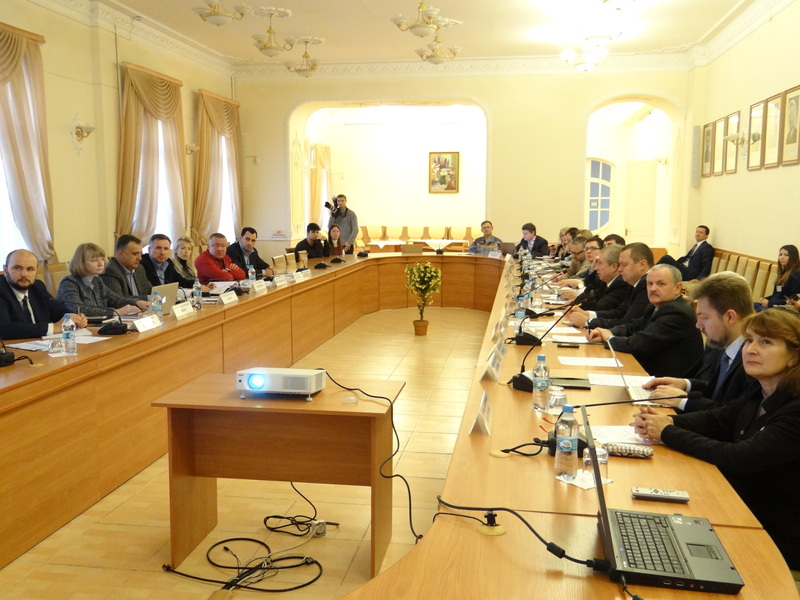 The Ministry of Economic Development and Trade of Ukraine, NTUU “KPI” and The Institute of Applied Mathematics Analysis of the Ministry of Education and Academy of Science of Ukraine were its organizers. Mykhailo Zgurovskyi, rector of NTUU “KPI” and academician of Academy of Science, and Ruslan Korzh, the vice-president of the Minister of Economic Development and Trade of Ukraine headed the meeting. 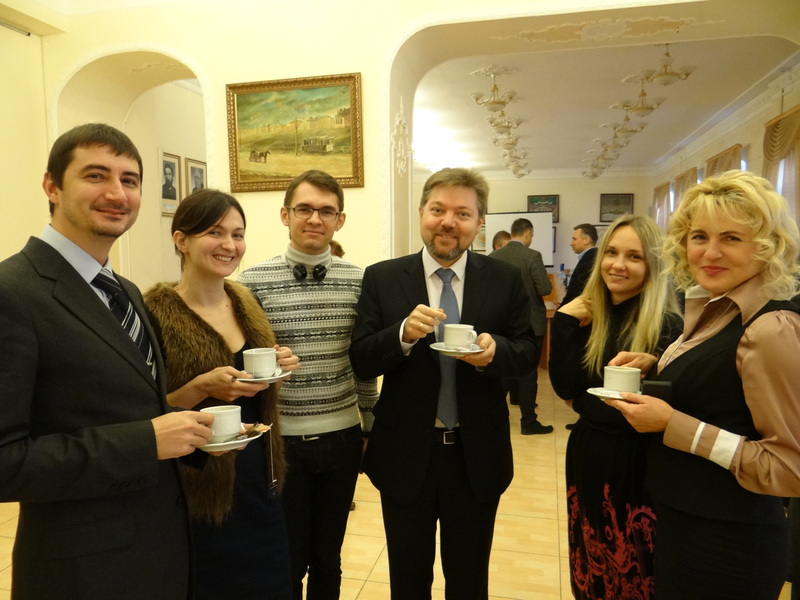 Olena Minich, the director of the Department of Innovations Development and Intellectual Property of the Mineconomdevelopment, Sergii Veretiuk and Oleg Yakovenko, minister’s advisors, Vitalii Kotlovskyi, vice-rector of NTUU “KPI” on scientific work, Bogdan Andriicev, managing partner of ILend Management Company, Mykola Petrenko, founder of Fund named after V. Mykhalevych, Natalia Pankratova, director’s assistant of scientific work of The Institute of Applied System Analysis of NTUU “KPI”, Kostiantyn Yefremov, director of Word Center of Data “Geoinformatics and Sustainability” and others participated in seminar. 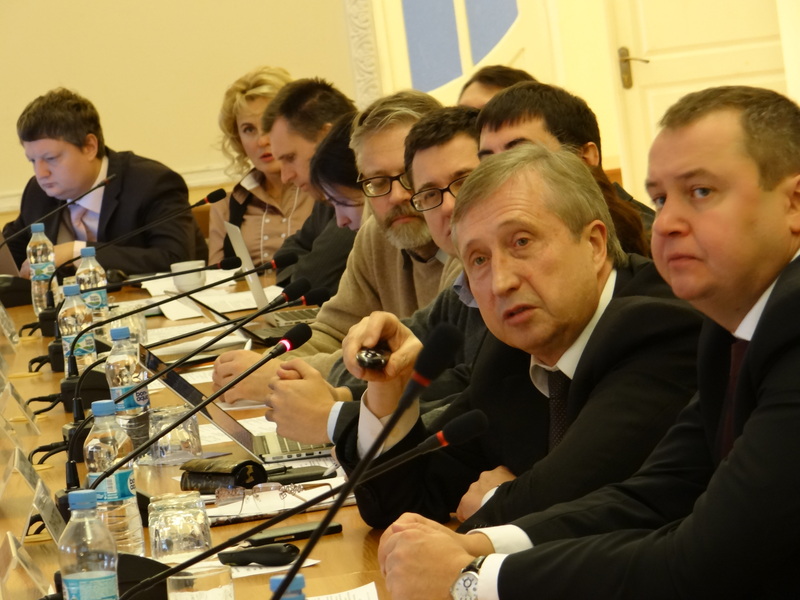 Two sessions of the seminar, “Foresight of Ukrainian economy for middle-term (up to 2020) and long-term (up to 2030) perspectives” and “Development of highly technological systems in Ukraine on the example of Scientific Park “Kyiv Politechnika”, were devoted to the tightly connected questions. Without change of economic model, the future of our country (that was absolutely clearly demonstrated by outcomes of foresight of development of Ukrainian economy) can be very sad. This research was conducted under the supervision of academician Zgurovskyi, by the specialists of the World Data Center “Geoinformatics and Sustainability”, International Council of Science (ISCU) that functions in NTUU “KPI”, and by the Institute for Applied System Analysis. Foresight was done for two time parts – to 2020 and to 2030. Four scenarios were considered for every period. Let say, the first scenario: 1) “optimistic” case of the development of economy of the country; 2) “crisis conservation”; 3) “sovereign default” and 4) “collapse”. Scenarios for 2030 are definitely the continuation of what is going to happen in the nearest 5 years. The research results confirmed that Ukrainian economy is no longer able to break down within the structure that was built in Ukraine during many decades of ХХ century and was based on the obsolete technologies, implementation of refinable raw cycle on enterprises, moreover, in current situation, when the country does not control its whole territory, and a substantial part of enterprises and workforce were extracted. As a result, Ukrainian economy should find other spheres beyond those clusters that Ukraine has geographical, resource and human advantages. So, there is no alternative rather than to transfer to high technologies. At the same time, the state should focus on human capital. There should be orientation on the development of modern education, inclusion of scientific inventions in real economy and involvement of high technological business. Scientists also paid their attention to critical factors that slow down its development. These are: shade economy sector, widely spread corruption and contraband, pension expenses from the budget, money for paying state debt, power consumption of GDP of Ukraine. However, our country has a range of competitive advantages that can have positive influence on development of economy, first of all, its high quality of education system, quality of mathematical and natural science preparation etc. That is, it’s human capital. Of course, the purpose of the research was to build the plan of development of Ukrainian economy that would provide stability in mid-term (2015-2020) and sustainability in long-term. So, authors identified and described spheres that could become major drivers or locomotives of such development. These are agriculture, military industry, information and communication technologies, creation of substances and materials, nanotechnologies, precise machine engineering and other – ten spheres in total. Authors also identified points for highly technological development of the state on the chosen timescale. In order to achieve this we need the critical change of functioning principles of the economy. Innovative ecosystem, created in NTUU “KPI”, can serve as a certain model for fulfillment of these updated principles. This is the model of inclusion into economy the achievements of science and education with the help of highly technological business participation. Results of the competition of innovative projects “Sikorsky Challenge 2015” that was conducted for the fourth time in NTUU “KPI” witness its productivity. The authors of the best projects concluded agreements with investment companies and venture funds for the sum exceeding 570 ml UAH, that is, $ 26 ml! Notably, there is no a penny from state organs in investments provided. Representatives of the Ministry of Economic Development also presented their work in front of the seminar participants in the direction of reorganizing of Ukrainian economy that are based on so-called “knowledge economy”. That means that the concept almost coincides with the KPI specialists’ vision. The director of the Department of innovations development and intellectual property of the ministry, Olena Minich, gave a detailed presentation of the project “High-tech strategy for Ukraine”. The strategy is based (as well as KPI specialist offers) in the identification of the ways of transformation of Ukrainian economy from low-technological models to innovative ones. Its developers also defined the main branches that can become locomotives of transformation (however, the Ministry considers fewer – only 5) even presented their view on modern innovative and venture ecosystem (but in the whole country scale), and identifies the factors for acceleration of strategy fulfillment. The role of the state in the innovative transformation of the economy and the process of implementation of new models of collaboration among science, education and business were also discussed at the seminar. The point was that the country should become the fourth member of the process creating conditions for this movement and, as Mykhailo Zgurovskyi said, “give green political light”. Finally, the participants agreed that the materials prepared by KPI and information about the University experience in creation of innovative eco environment and involvement of investments will be used by the Delegation of the Ministry of Economic Development and Trade on the French business forum that will take place in Paris, in November and also for preparation of correspondent state programs.